NEW YORK (WABC) -- Newly released NYPD documents show that undercover officers infiltrated the 'Black Lives Matter' movement, posing as protesters. 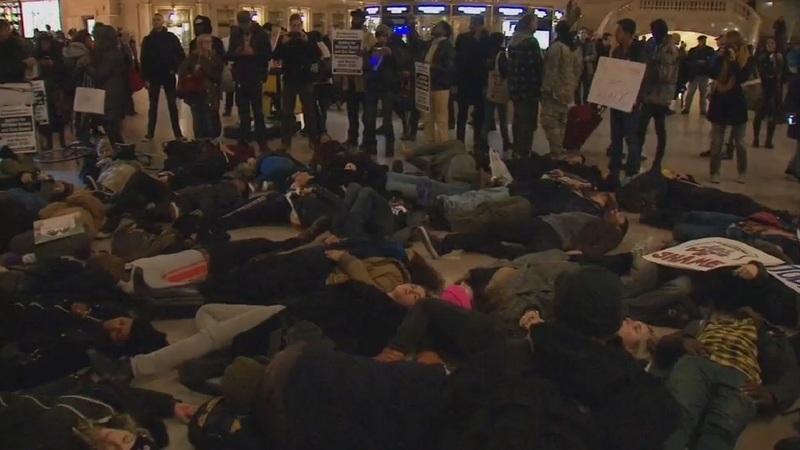 The new information was released because of a lawsuit alleging unlawful surveillance of protests in 2014 and 2015 at Grand Central Terminal. The surveillance showed text messages by a small group of protest organizers ended up in the hands of officers. The NYPD has not responded Eyewitness News' request for comment.